This preventive maintenance cleaning kit is designed to be used on all check scanners. 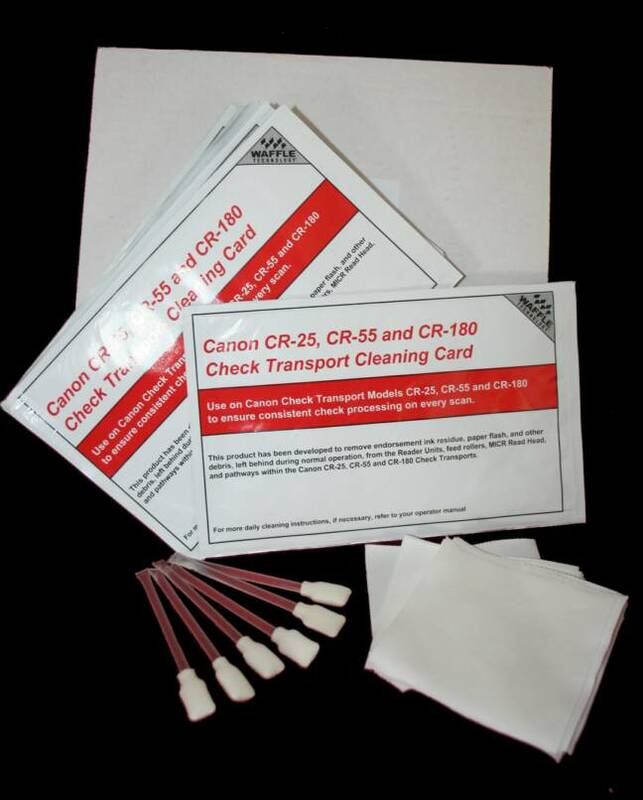 This cleaning kit has been embraced by OEM's to provides a postitve cleaning performance and extending the overall life of the check scanner. 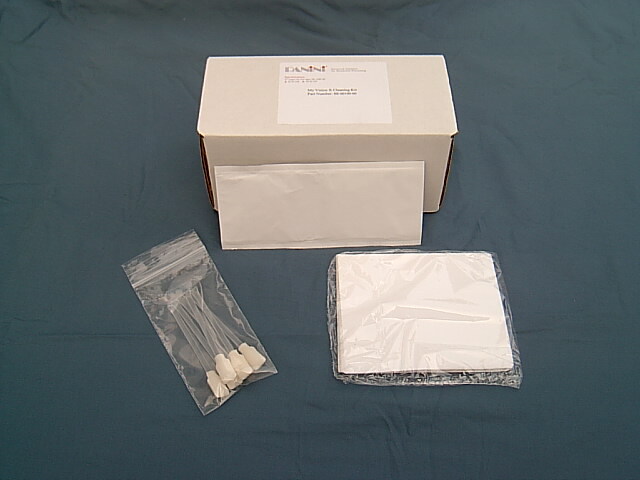 Kit includes 25 cleaning cards, 6 alcohol snap swabs, 25 lint free dry wipes, and cleaning instructions. This Panini Vision X, My VisionX,and I:Deal approved cleaning kit contains 25-Panini Waffletechnology cleaning cards , 6: 4.5" IPA filled Reservoir handle snap swabs, 1 pack of 25 lint free wipes,and cleaning instructions. Waffletechnology cleaning cards , 6: 4.5" IPA filled Reservoir handle snap swabs, 1 pack of 25 lint free wipes,and cleaning instructions. 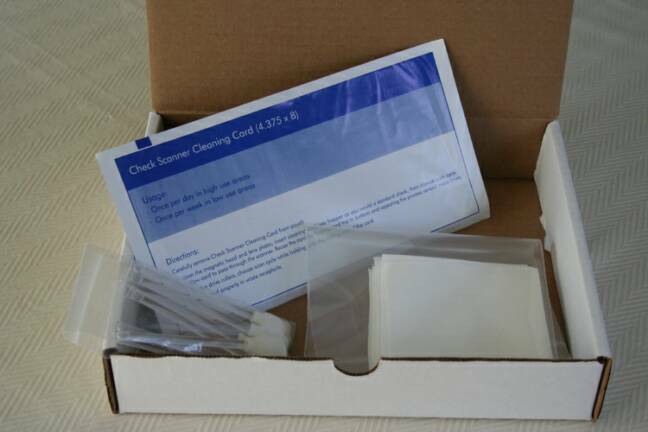 This Epson approved cleaning kit contains 25-Epson Waffletechnology cleaning cards , 6: 4.5" IPA filled Reservoir handle snap swabs, 1 pack of 25 lint free wipes,and cleaning instructions. This Cannon approved cleaning kit contains 25-Epson Waffletechnology cleaning cards , 6: 4.5" IPA filled Reservoir handle snap swabs, 1 pack of 25 lint free wipes, and cleaning instructions. 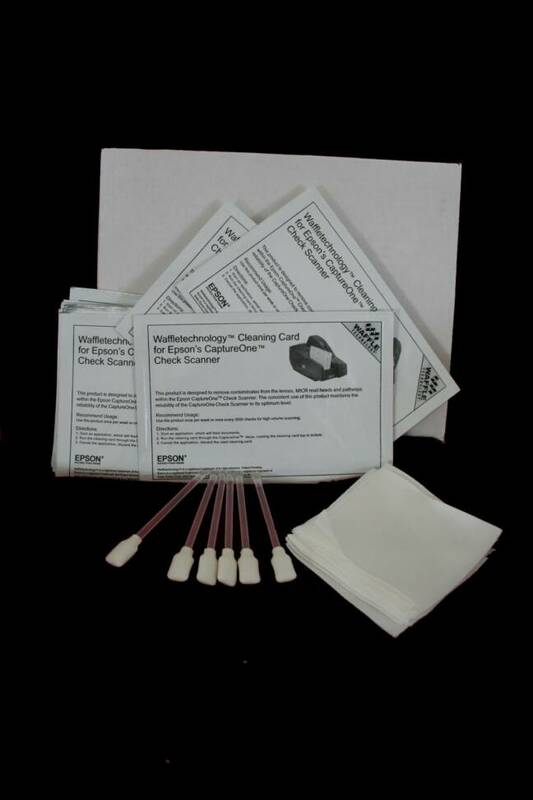 This kiosk cleaning kit contains: 5 - Waffletechnology Card Reader Cleaning Cards CR80, 5- EZ Screen Wipes - Dual Wet/Dry Solution Wipes (Ideal for all Screens and Monitors), 5 - Key Cleaning Swabs and 5 - SNAP Swabs-4.5" IPA Reservoir Handle.